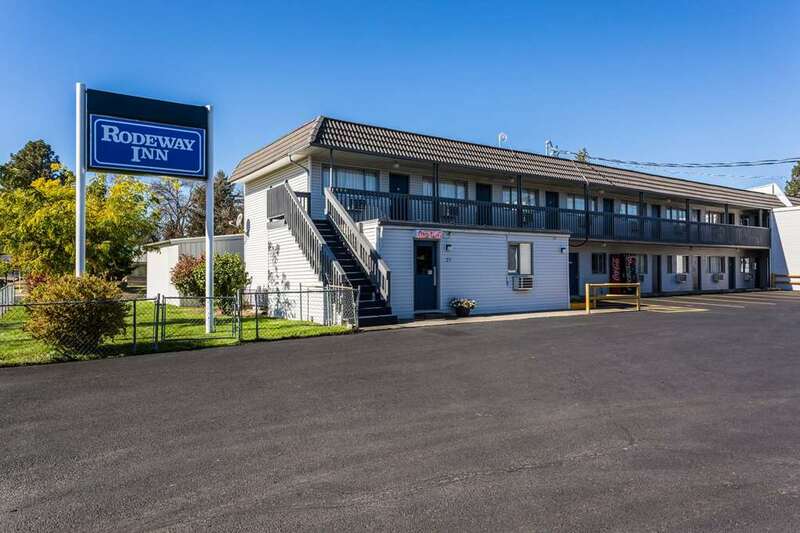 When all you need is a solid deal on a simple stay, the pet-friendly Rodeway Inn North Spokane hotel in Spokane near the Spokane Arena is just what you are looking for. Our hotel is located on North Division Street, which puts us near shopping, restaurants and attractions like Whitworth University, Northtown Mall, Mt. Spokane Skiing, Spokane Convention Center and Gonzaga University. Amenities include free WiFi, free parking, free coffee and a seasonal outdoor pool. Your room offers amenities like microwaves, refrigerators, coffee makers and hair dryers. Earn rewards with every stay with our Choice Privileges Rewards program. Pets Allowed 10.00 USD per night, per pet. 2 pets per room.